If you are a small business owner or are thinking of starting a business, you should be aware how the Affordable Care Act (ACA) affects you. There are several tax provisions in the law that will take effect in 2013, and various tax rules that have already taken effect this year and will continue on into the next. We have a summary on what you can expect when it comes to your small business and on the benefits you may offer, such as a flexible spending account, and new payroll adjustments you’ll need to make for the additional Medicare tax. In addition to the new rules, there is a continuation of prior provisions. Does your business offer your employees to allot part of their wages to a health flexible spending account (FSA) to pay out-of-pocket expenses not covered by health insurance? Are you thinking of adopting a health FSA for your small business? If the answer to either of these questions is yes, you will have to implement a new contribution cap for 2013. Starting next year, the employee contribution limit is set at $2,500. The employer-set limit will no longer govern employee contributions. Also, the $2,500 limit will be indexed for inflation after 2013. According to the Internal Revenue Service (IRS), you have until the end of 2014 to change your flexible spending account to indicate the new cap; but, in order to benefit from the extra time, in 2013 you will still need to follow the plan in consensus with the limit. If you process your payroll internally, you should consider updating your payroll procedures for 2013. 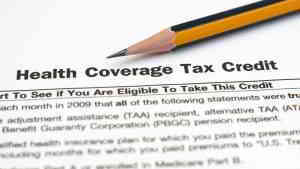 The new additional Medicare tax of 0.9 percent is due to apply as of January 1, 2013. The additional Medicare tax applies to wages over $200,000 ($250,000 if the employee is married jointly or $125,000 if filing separately). You’re required to withhold the tax on compensation in excess of the applicable threshold, even if the employee doesn’t owe the tax. The additional Medicare tax is on top of the basic Medicare tax of 1.45 percent that your employees pay on all of their wages. An employee may request you increase their withholdings by filing Form W-4, but they may not request it specifically be withheld for the additional Medicare tax. If you are a small business owner who is in a sole proprietorship or a limited liability company, the additional Medicare tax of 0.9 percent applies to self-employed individuals. If you are self-employed and over the $200,000/$250,000 (or $125,000) threshold for net earnings from self-employment, you will need to factor the additional Medicare tax into your estimated tax payments for next year. The tax changes under the Affordable Care Act aren’t the only ones that apply to your business. There are other, even more complicated changes scheduled to take effect in 2014. AmOne has years of experience and a wealth of information available that can help. Our knowledgeable associates are ready to answer your questions on small business, if you need a loan for your small business, and more. AmOne offers solutions; your call to us is free and we won’t try to sell you anything. Find out how to reach us and learn more about how AmOne can help you today. Previous Previous post: How Will You Finance Your College Costs? Next Next post: Are You Investing For Your Retirement?